Which part of Australia is best for you? Want to move to Oz but don’t know exactly where yet? We’ll help you make up your mind. Being the capital of the Australian state Victoria, Melbourne is a popular destination to live with almost 4 million people who currently reside there! With it’s historic architecture, ethnic diversity and rich cultural life migrants feel at home no matter where in the world they come from. 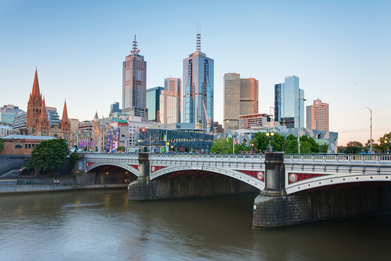 Melbourne’s a city that’s very much about the lifestyle with a busy calender of sports and events. Despite being less famous than Sydney, people who move to Melbourne find that it’s better transport, lower crime rate and lower housing prices make it more of a liveable city. Despite being fairly expensive, the city can offer you better sized houses for your money. The rental market is always moving very quickly so you’ll need to be able to make quick decisions about your desired property as chances are, it won’t be around for long. Houses in many of the city’s ‘great’ areas can range over A$500,000, that’s £278,000! Some family-oriented houses in the suburbs have more affordable prices like A$300,000. (£167,000).